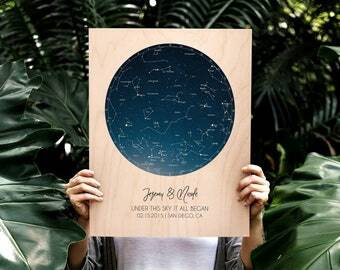 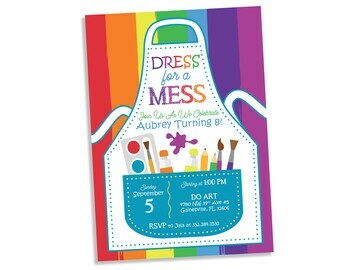 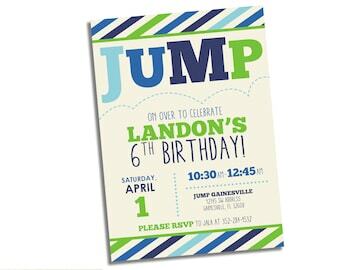 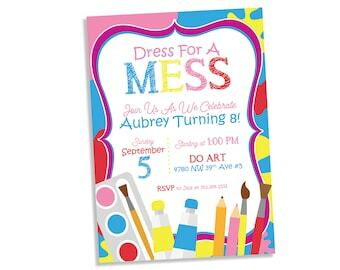 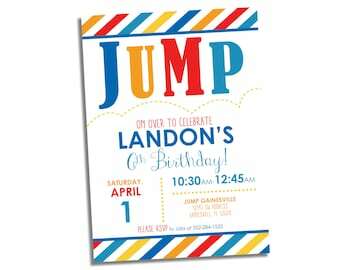 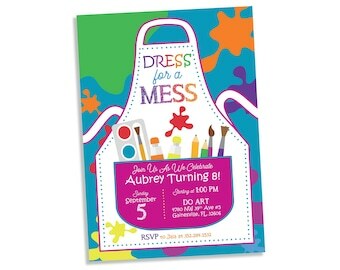 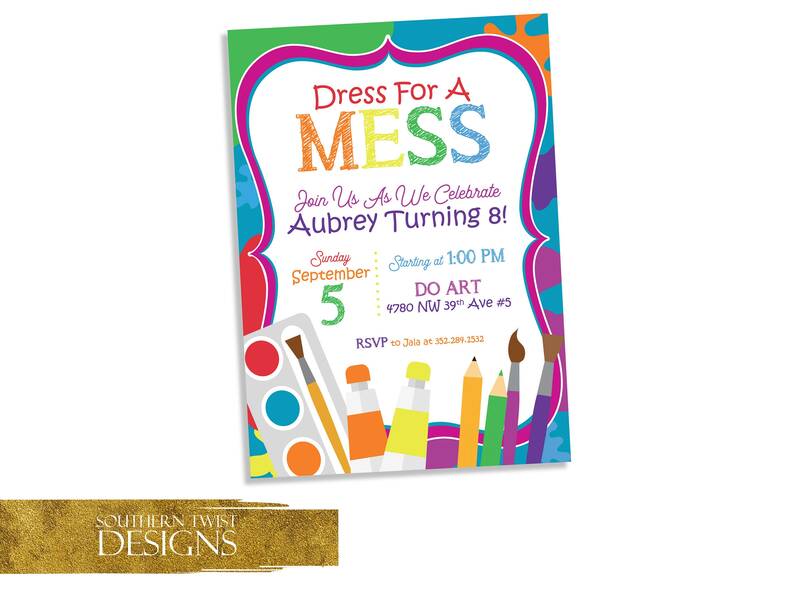 Perfect invitation for your little artist and any paint or craft party. 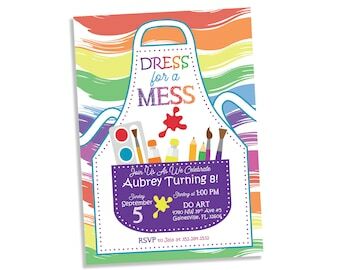 Bright rainbow colors with artist smock with all the supplies. 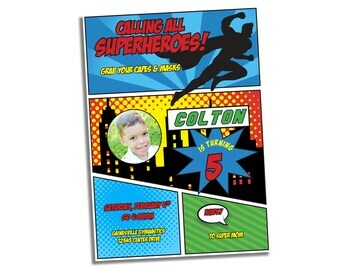 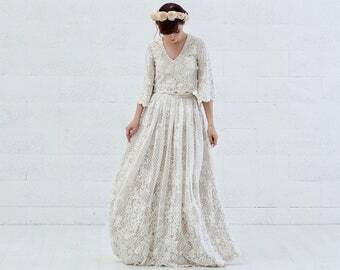 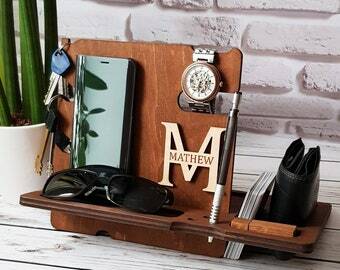 Just send me your information and I will customize it for your artist.